The Advanced Nitrox program is the first of TDI’s technical levels. Training you in the benefits, hazards and proper procedures of utilizing technical diving equipment and breathing Nitrox mixes from 21% to 100% Oxygen on extended no stop gas-switch dives. 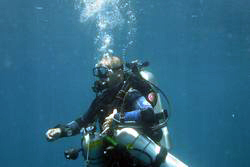 This is a foundational course in which you will develop the necessary skills diving in double tanks with a wing/harness configuration as well as proper planning, gas management, fining techniques and self rescue techniques. The DSAT Tec 40 course is the first level of the DSAT. Training divers in the use of technical diving equipment, Nitrox blends up to 50% and learn the basics of decompression diving. 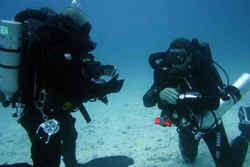 This course covers the basic theory, methods and procedures for planned staged decompression diving. 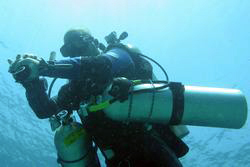 The objective of this course is to plan and conduct standard decompression dives as well as learning the manipulation and use of a stage/decompression tank. 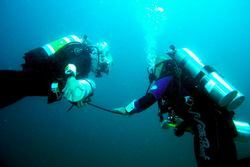 TDI Helitrox - Divers can now add up to 20% Helium to their mixes to reduce the effects nitrogen narcosis. Designed as a mid point between Tec 40 and Tec 50, this course builds on the skills learnt during the DSAT Tec 40 course and adds the necessary skills and knowledge to perform gas-switch extended no-stop decompression dives, decompression dives and accelerated decompression dives. This introductory level of Closed Circuit Rebreathers teaches the proper procedures, functions, benefits, hazards and maintenance of a rebreather. Over this 5 day course you will develop basic CCR skills as well as emergency bailout procedures. 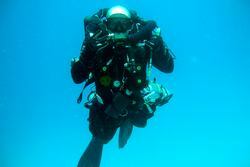 Unit specific training is available on several commercially available rebreathers. Designed for divers already Adv Nitrox & Deco Procedures certified, this CCR level trains divers to plan and execute dives to a maximum of 45m with minor decompression. * Mod 1 certified divers with 30hrs on the unit & 6 months from Mod 1 certification don’t need to be Adv Nitrox & Deco Procedures certified. 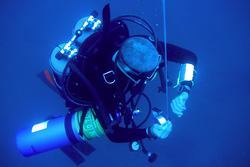 This course is the first step of becoming a cave diver. 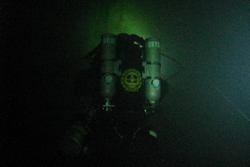 Limited to the ‘light-zone’, were natural light is still visible, this course is designed to train a diver in the basic skills of proper communication, gas planning, gas management, guideline use, light failures and out of gas situations. 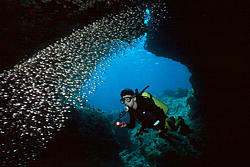 *5 days if combined with TDI Intro to Cave Diver. This introduction to cave diving course builds on the cavern course and extends the level of performance, perfecting the skills learned in the cavern course and building additional techniques and procedures for cave diving. * 5 days if combined with TDI Cavern Diver.